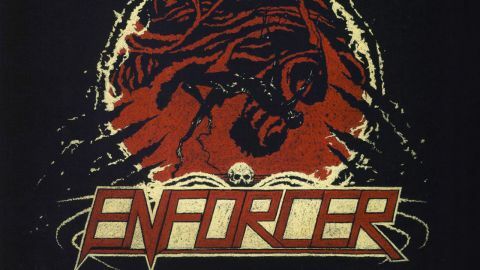 A few years down the line from that initial outbreak of traditional metal revivalism, it’s hard not to think that bands like Enforcer should at least be attempting to add something new to their past-saluting formula. Death By Fire certainly ticks all the boxes that fans of this stuff will be demanding: the relentless galloping, soaring twin-guitar harmonies and epic arrangements continue to point to a slavish Maiden obsession that’s understandable, if not strictly likely to lead to any real surprises. Admittedly, Enforcer do play at a faster pace than most of their cutoff-clad peers and there’s a certain speed-fuelled charm to the likes of Satan and Death Rides This Night. But while there’s no faulting the Swedes’ taste in old-school sounds, it remains highly questionable whether albums like this have any real purpose other than to enable their creators to relive an era they were too young to experience at the time. It’s all great fun, of course, but listen to Killers instead and this evaporates in a puff of irrelevance.